Conversations Series I – OutsiderXchanges – Page 2 – OutsiderXchanges is a collaborative visual arts project evolving from Venture Arts in partnership with Castlefield Gallery and BALTIC Mill – Gateshead. Supported by Arts Council England, OutsiderXchanges will bring together learning disabled and non-learning disabled artists to explore collaborative practice and create new work. The following film and video works illustrate the collaborative outcomes of OutsiderXchanges project and artists working together to create new work through inter-responsive visual arts practice. These films were exhibited in a series of happenings, events and exhibitions including The Manchester Contemporary, BALTIC Centre for Contemporary Art and The Whitworth art gallery for Thursday Lates event. This collaborative work of three short films grew from a discussion about disability and invisibility. 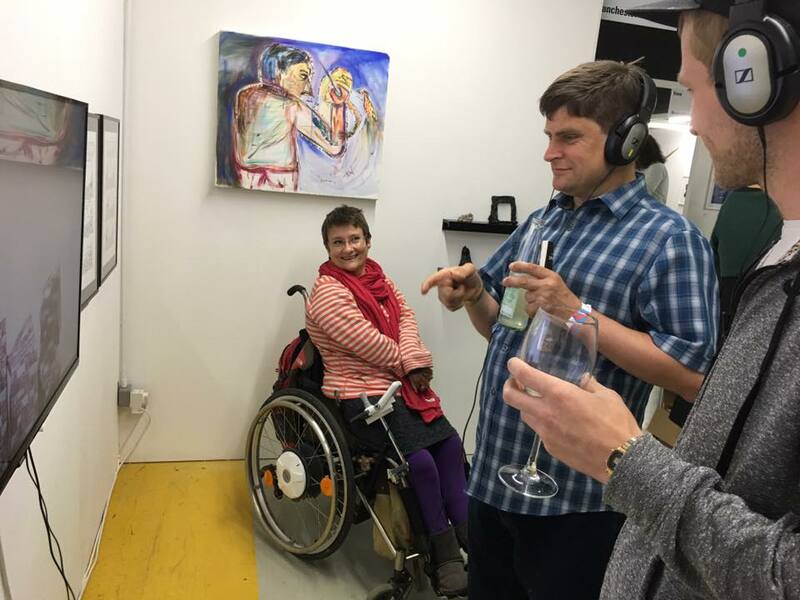 Jane and Simon decided to establish Invisible Gallery as a fictional institution that might represent disabled artists who would not gain visibility without our support. In doing so, they compared the relative invisibility of disability as a subject in contemporary art with conceptual art practices in which an idea takes precedence over material form. 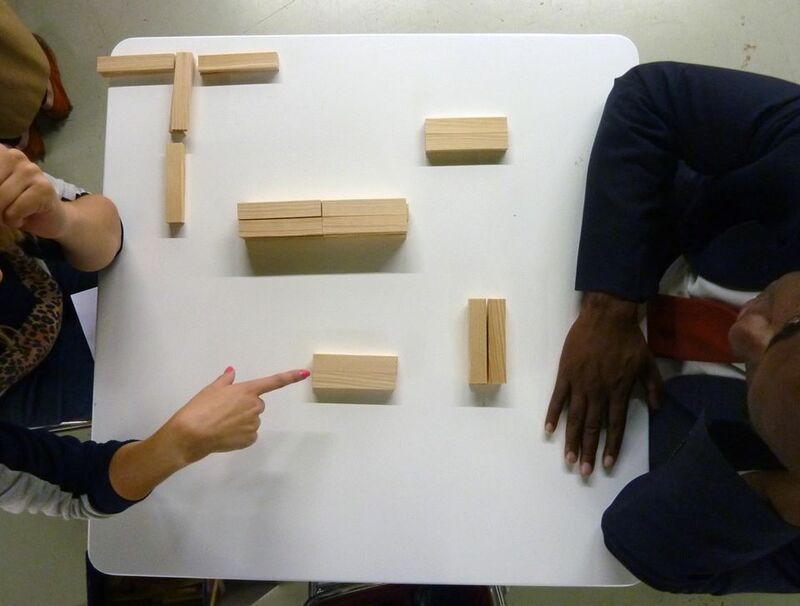 Following playful and spontaneous discussions, they staged a curatorial conversation to camera (Invisible Gallery at Midnight) and made a farcical TV news bulletin about the opening of a new Invisible Gallery in an unnamed city centre, imagining that our concept had been turned into a successful franchise (Invisible Gallery News). This video is the result of several weeks of online and field research and acts as a celebration of Horace’s memories of Cambrian School in Ancoats, Manchester, which is due to be taken down and turned into a car park in the near future. But it also acts as a ritualistic ceremony of letting the school and the memories “go”. They created scenes where They physically interacted with objects associated to school, creating abstract or figurative shapes relating to Horace’s memories. Some scenes only involve hands and small objects, some others involve the hall body, as if they were making dens/being swallowed by the school. In the ‘wall paper’ scene they tried to impersonate the school and match its architecture (left: class room, middle: assembly hall, right: dinner ladies room). The soundtrack is an edited recording of a discussion about some of Horace’s school memories, and has a sometimes literal and sometimes more abstract relationship to the action on screen. Taking the premise that the artists are blowing their art budget on a party, this film brings together in a theatrical way the art works produced and insight into the processes that inspired them. Each artist creates and inspires their own art story within the wider narrative. With a riotous and anarchic flavor, representing the relationship between artists, the film takes its name from artist David James who described trying to capture “iridescent eyes” and “idyllic eyes” using “pearlescent paints”. ‘Process Film’ capturing the unique collaborative and creative process between artists over the duration of the OutsiderXchanges project created by Venture Arts’ Martin Livesey. Tonight for one night only OutsiderXchanges take over The Whitworth Thursday Lates to present OutsiderXchanges project through an Art Party. Starting from 6-9pm there’ll be a feast of artworks, psychedelic performances, films, installations, happenings, sound art, party food and much more! 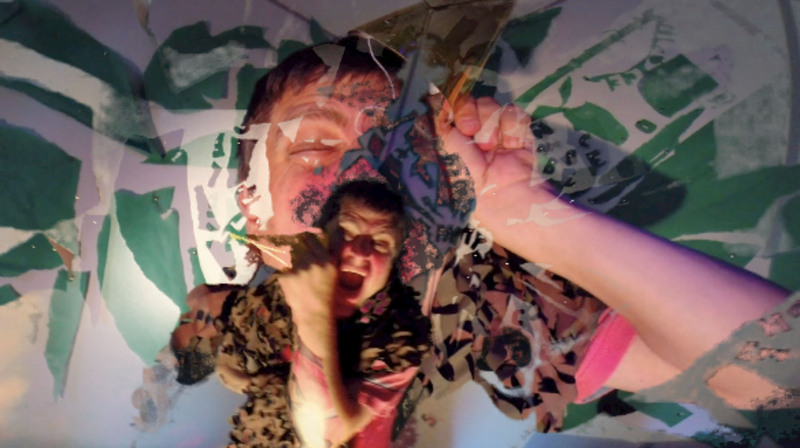 Check out these short psychedelic teaser trailers created by OutsiderXchanges collaborator and artist Matt Girling. 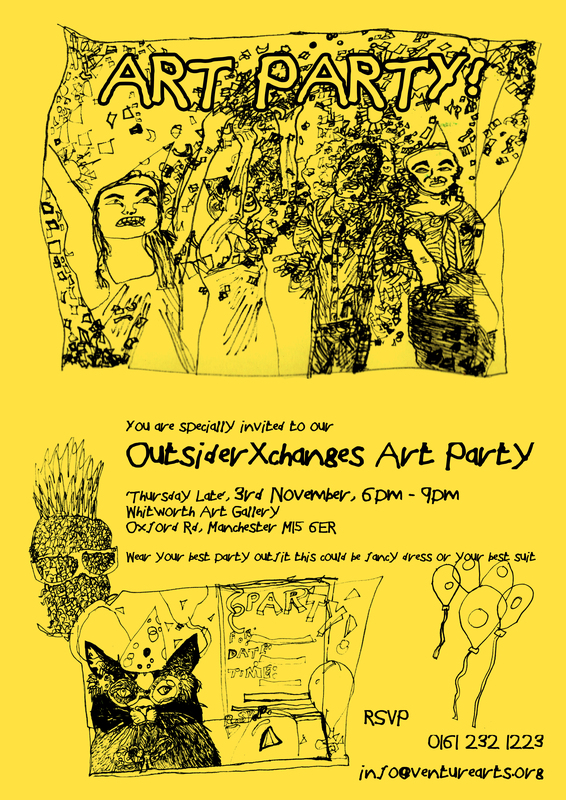 OutsiderXchange take over The Whitworth with an Art Party to remember! Join us for a one off Art Party, expect party hats, sound experimentation, performance and a host of artistic revelry. The evening will see the artist collective presenting, artworks, audio visual work and a one off performance by new super noise band ‘Psychedelic Brain cells’, an extension of the experimentation within the OutsiderXchanges studio into sound and celebrates the act of playing. Guests are invited to wear their best party outfit. Artists involved in the project are: Juliet Davis, Barry Anthony Finan, Matt Girling, Jane Louise Graham, David James, Sarah Lee, Sophie Lee, Horace Lindezey, Tanya Raabe-Webber, Simon Raven, Rosanne Robertson and Leslie Thompson. OutsiderXchanges is supported through public funding by Arts Council England. Project Partners and Supporters of OutsiderXchanges project: Venture Arts, Castlefield Gallery, BALTIC Centre for Contemporary Art and CVAN. On Tuesday 18th of October, Venture Arts presented Symposium: Collaboration in Practice at BALTIC Centre for Contemporary Art. Speakers from leading organisations across the UK came together to share their experiences of collaboration in contemporary disability visual art practice. The symposium coincided with the OutsiderXchanges exhibition at the Quay Gallery, BALTIC Centre for Contemporary Art from 1st-31st October 2016 where materials and documents were exhibited alongside the final works to reveal the relationships, work, play, and collaboration that led to the final outcomes. Over the past 7-months, OutsiderXchanges, a visual arts project based on collaboration, reciprocal learning and creative exchange has brought together six learning disabled artists and six contemporary visual artists in one studio space. Taking parity of ideas and aesthetic approaches as a starting point the resulting works blur the line between art and life, inviting the viewer to challenge their own conceptions of art and what might be considered ‘outsider’ art. The event began with a warm welcome an introduction to the event from Amanda Sutton, Director of Venture Arts, presenting an overview of the OutsiderXchanges project with Venture Arts and OutsiderXchanges artist Horace Lindezey. Delegates were then encouraged to look around the OutsiderXchanges exhibition and Studio Lab which included a show-reel of films in the cinema area and performative work in the cube space, where newly formed sound art band The Pyschedelic Brain Cells delivered another unique and ever evolving performance. Venture Arts then presented a brilliant film created by Venture Arts’ Martin Livesey, capturing the last 7 months of the project, highlighting creative practice, unique processes and perspectives on collaboration between artists when they were based in the studio at New Art Spaces Chorlton, Castlefield Gallery’s . This film will be available online soon. Who is the insider and who is the outsider? – Kwong Lee, Castlefield Gallery. Next, reflections from Kwong Lee, Castlefield Gallery. Kwong spoke about supporting Venture Arts’ vision, New Art Spaces and the focus of adding value to emerging artists and independent studios leading independent projects. He also discussed the collaborative process that takes place between galleries and studios. Simon Raven, OutsiderXchanges artist and Phd Researcher at Northumberland University, shares his experience of the collaboration between himself and artist Jane Louise Graham in the creation of their subversive film ‘The Invisible Gallery’. He spoke of existing power structures within the arts and questioned what is unique about disability arts and collaboration. Barbara Van Heel, Co-Director of Action Space London and Charlotte Hollinshead, Artist Facilitator at Action Space’s Studio Voltaire, speak about the history of their studio and how many artists Charlotte works with apply collaborative elements in different ways, often through participatory projects. We got a guided tour of the Project Ability studios from artist Cameron Morgan. 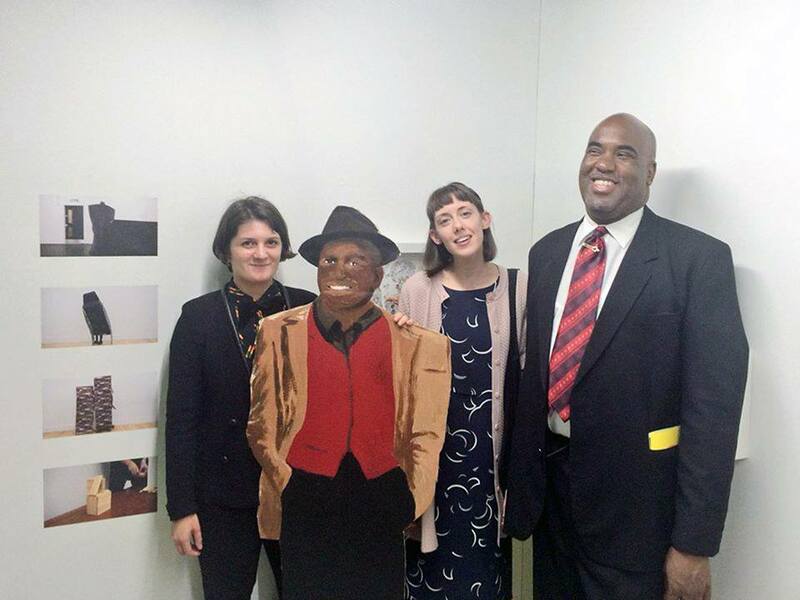 Elizabeth Gibson, Artistic Director of Project Ability, who work with 124 artists weekly, talks about how residencies aid the collaborative process, using UNLIMITED commission collaboration between Cameron Morgan and Alan McEwan as an example. Shan Edwards, Chief Executive and Artistic Director, introduced The Arthouse, Wakefield delivers her manifesto and the importance of artist residencies and how they role they play to help diversity in the arts, creative learning and supporting artists of all abilities. Ruth Gould, Director of DaDa Fest International, gave us a fantastic brief history of disability arts and spoke about DaDa Festival. Lastly Gus Garside, National Co-ordinator of Creative Minds talks about bringing together learning disabled artists and performers and spoke on behalf of Sarah Watson, Artist and Founding Member of Creative Minds. 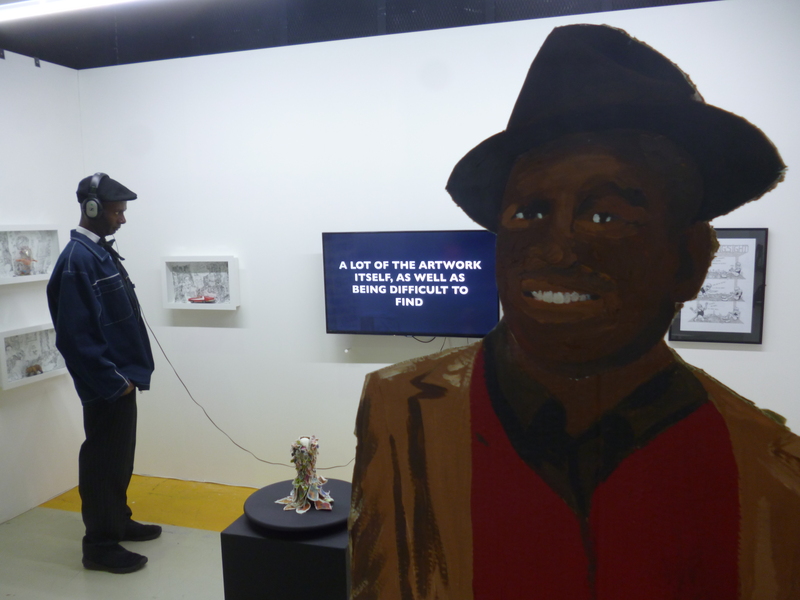 We had an amazingly successful weekend introducing OutsiderXchanges project at The Manchester Contemporary art fair. We had a great time speaking to the public, collectors, exhibiting artists and gallery owners! And we sold some 3 art pieces! What else could we ask for?! We’d like to thank everyone who came down to the fair and everyone who helped make it happen! Horace Lindezey enjoyed conducting his ‘School Days’ interviews with collaborating artist Juliet Davis, Rudolph Walker (If you could invite anybody in the world to our party, who would it be?) (#hangingwithrudolph) enjoyed perusing the exhibitor stands and mingling throughout the fair. Artist Leslie Thompson had incredibly feedback on his collection of fine-liner on paper vitrines with models and produced some fantastic live drawings of the event. All participating artists got the chance to speak to visitors about their resulting artwork and collaborations and their experience of exhibiting at such a high profile event. 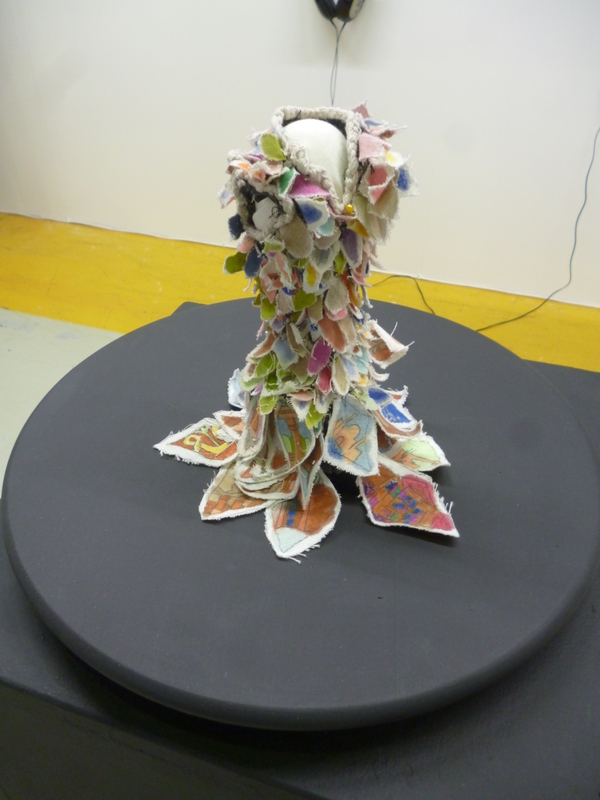 Selected artworks featured included pieces developed individually such Sarah Lee’s tactile three-dimensional clay ‘sketches’, inspired by the recent fire at the 16th-century Wythenshawe Hall, to collaborative works such as Yes Lad, Yes Lass (2016) by artists Barry Anthony Finan and Rosanne Robertson, a poignant mixed media video installation. This sculptural work represents the meeting of the two artists with their ambitions laid bare. Leslie Thompson, a prolific drawer, who at every opportunity is documenting his observations of events happening around him, in enormous detail using pen on paper, and in his own recognisable witty style, to artists Horace Lindezey and Juliet Davis who have involved public participation in their practice throughout to In a series of interviews Lindezey has been engaging participants in conversation on their childhood memories whilst also building models of their schools as a tool for reminiscence. 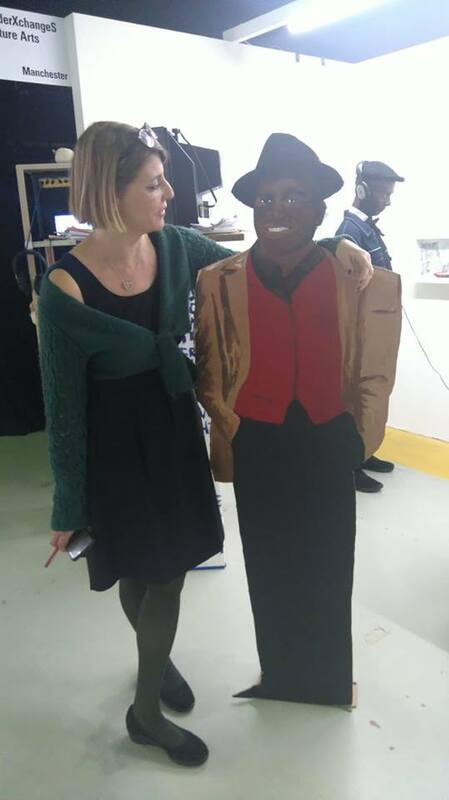 Artists: Juliet Davis, Rudolph Walker (If you could invite anybody in the world to our party, who would it be? 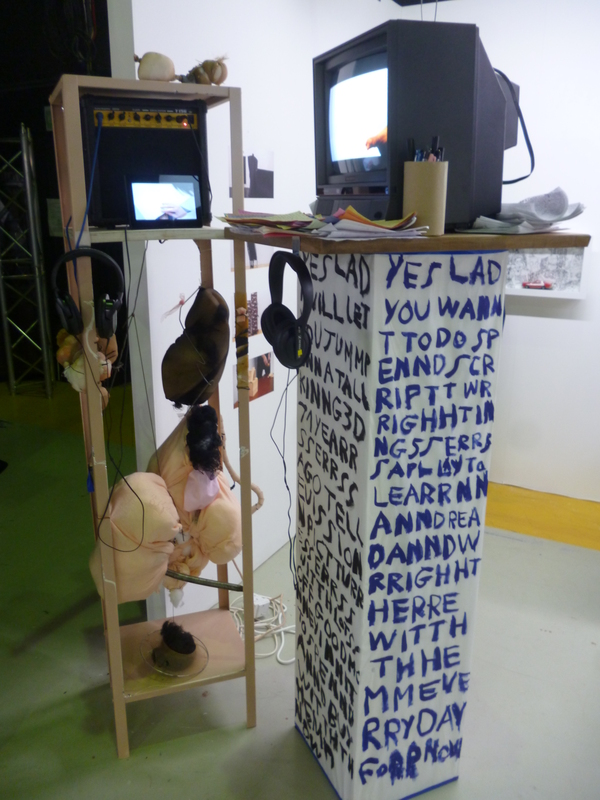 ), Sophie Megan Lee and Horace Lindezey. This exhibition running from 1st-31st of October at the Quay Gallery will reveal the final art pieces to result from this project. 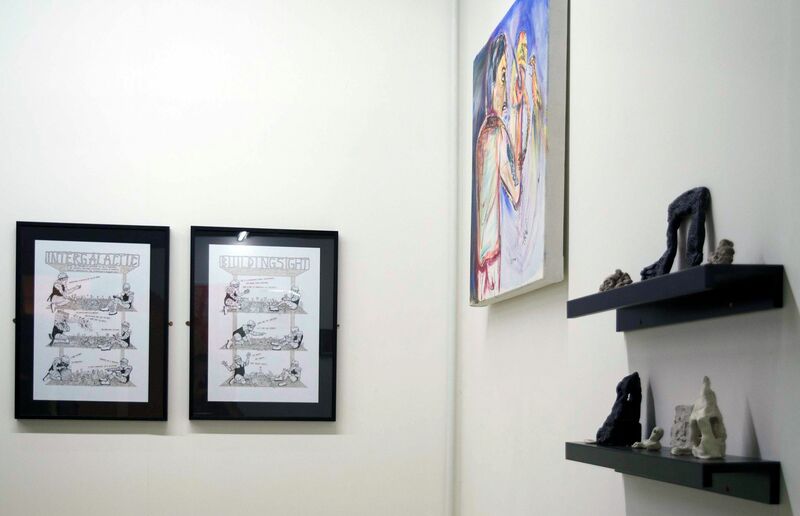 The art work is displayed alongside materials and documents revealing the relationships, work, play and collaboration that led to the creation of these pieces. Throughout the process, each artist has been given cause to deeply reflect on their own individual interests and practice including (and not exclusively) schools, life histories, popular culture, celebration, action figures, food, architecture, film, found objects, acting, writing, period fashion and local history. All these themes are demonstrated throughout the exhibition, as well as recurring themes of communication, memory and identity. The work is multi-media and multi-layered in nature to reflect the variety of unique perspectives and approaches, which blurs the boundaries between art practice and everyday life. A Venture Arts project supported using public funding by Arts Council England. Project Partners: Castlefield Gallery, BALTIC Centre for Contemporary Art and Contemporary Visual Arts Network. For more information about BALTIC Centre for Contemporary Art and the Quay Gallery click here. Tickets are limited so book your tickets here! To coincide with the OutsiderXchanges exhibition, join Venture Arts at BALTIC Centre for Contemporary Art for a symposium exploring the place of collaboration in contemporary visual art practice, furthering conversations around learning disability visual arts aesthetic and practice and it’s place within the wider contemporary visual arts world. We will be presenting the work of 12 contemporary artists, with and without disability, as a part of our latest project OutsiderXchanges. We’ll be inviting key leaders in the field to discuss what collaboration means to them and their artists, speakers include Shan Edwards, CEO of Arthouse Wakefield, Ruth Gould, Director of DaDaFest International, Charlotte Hollinshead, Artist Facilitator of Actionspace, London, Elizabeth Gibson, Director of Project Ability and acclaimed artist visual artist Tanya Raabe-Webber. 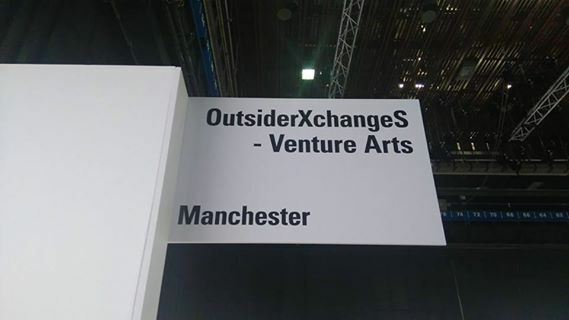 OutsiderXchanges artists will be exhibiting new collaborative artwork at The Manchester Contemporary art fair launching 22nd-25th of September at Old Granada Studios. 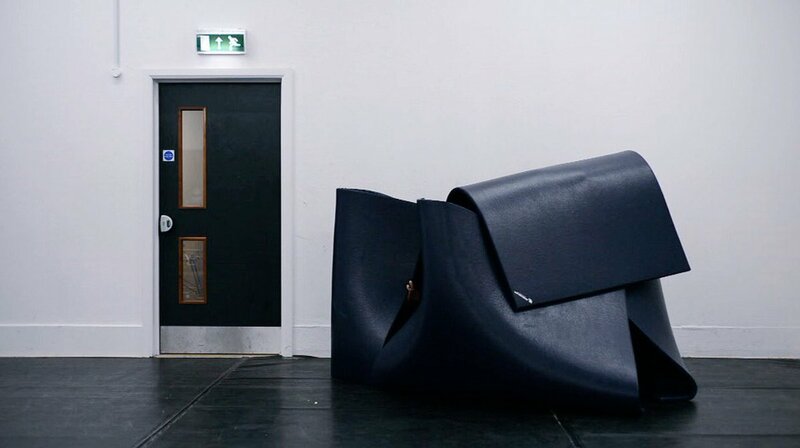 Taking place alongside Buy Art Fair and with The International 3 as cultural co-curators, The Manchester Contemporary is Manchester’s art fair for new emerging contemporary art. Using bold curatorial judgement it offers works for sale from the most exciting, critically engaged contemporary artists and galleries, many of whom then embark on the international art fair network. There are many events taking place during the fair including Kwong Lee, director of Castlefield Gallery , OutsiderXchanges project partner, in conversation with Pavel Buchler, talking about reinventing the ‘local artist’. We are delighted to be presenting the work of our artists at this fantastic event!